Crab Tavern is a seafood restaurant located in Broadgate Circle and is the makings of Russian Restauranteur Igor Krayushkin. Crab is the main focus here. Crabs come as a whole, in a brioche bun, in salads, cakes, crab claws or in a bun. They also do brunch, which is worth checking out. 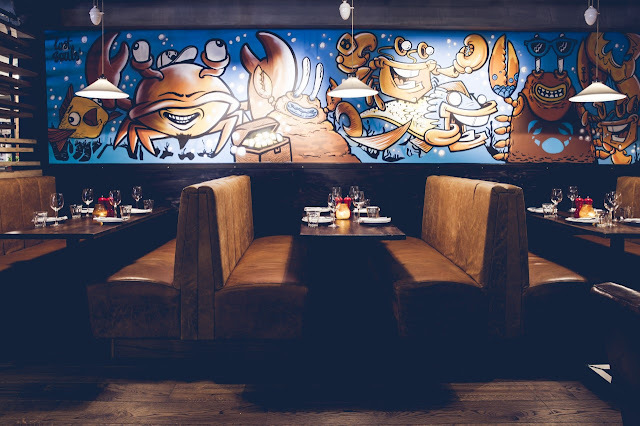 Crab Tavern exudes a New York style vibe - With low lamp shades, exposed brick walls, woodwork tabletops and flooring, industrial ceiling and a crab mural wall which brings extra character to the walls. 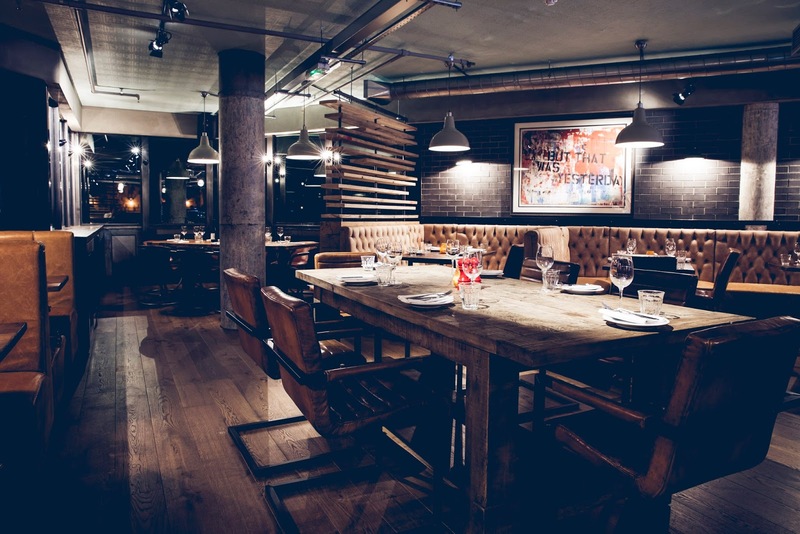 There is plenty of sitting on the top floor, including leather booths and a large space downstairs with the opportunity to oversee the chefs cooking. On my visit, the restaurant was filled with sounds of Gavin Holligan which was a nice touch and of course even more soothing to dine too. Gavin had such a good voice, he sang favourites such as All of Me by John Legend. Being in a Crab Tavern, I really wanted to try what they specialised in. However, on the day I was also drawn to the Grilled Baby Octopus. Now I have never had an Octopus before, I have always been squeamish of the thought of eating an Octopus. But I thought I would step outside of my comfort zone and give it a go. To my surprise the Octopus was cooked really well, it didn't taste rubbery and I thought why hadn't I tried this before. 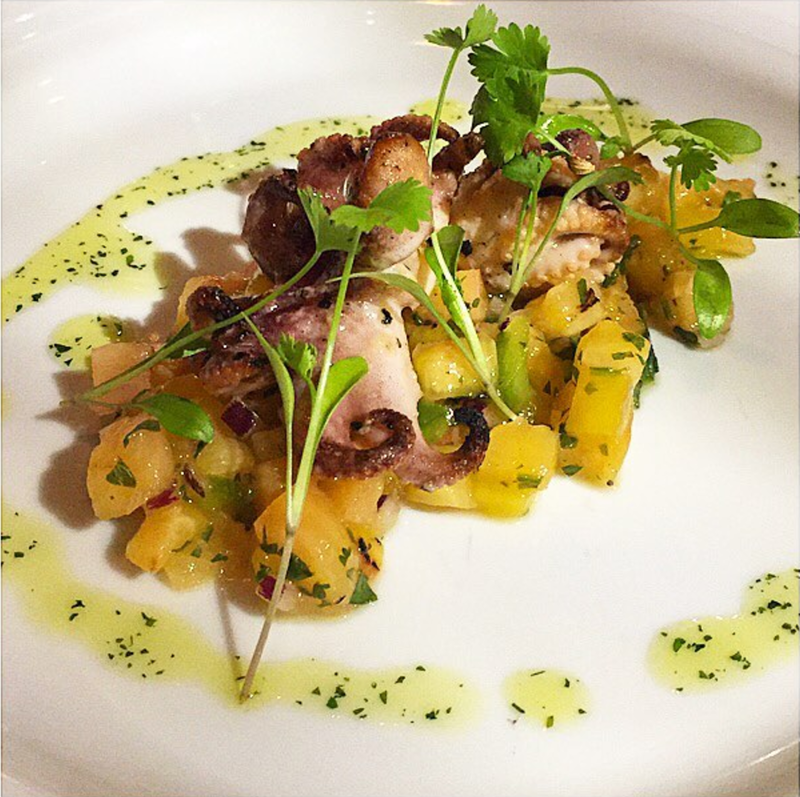 I had the octopus as a starter ( It is normally served as a main) It was well complimented with the pineapple, red pepper and mango salsa. It definitely brought a sweet essence to the dish. The octopus was well seasoned and chewy,but not rubbery just what you would expect. Next, I opted for the crab-tastic combination of Crab "N' Waffle which hands down is amazing. This combination totally works. 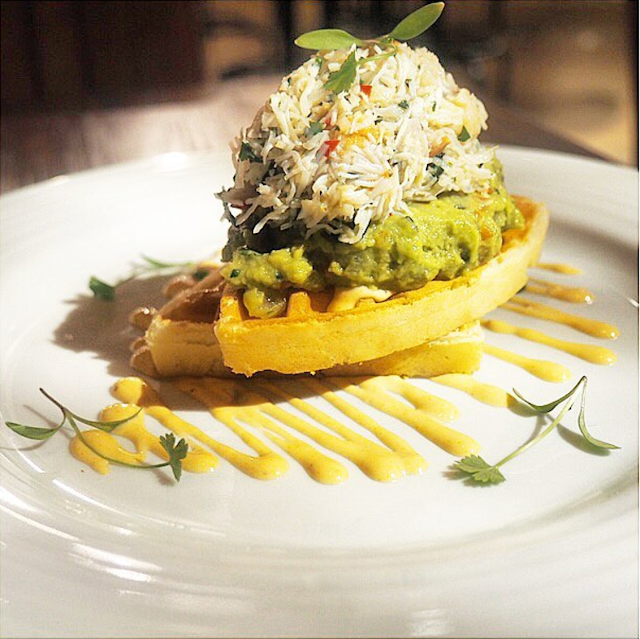 Fresh crab was infused with chilli in a crab mayonnaise and guacamole. It was fresh and dreamy! This was a winning combination for me. Lastly, I had a dish from the new Autumn menu. 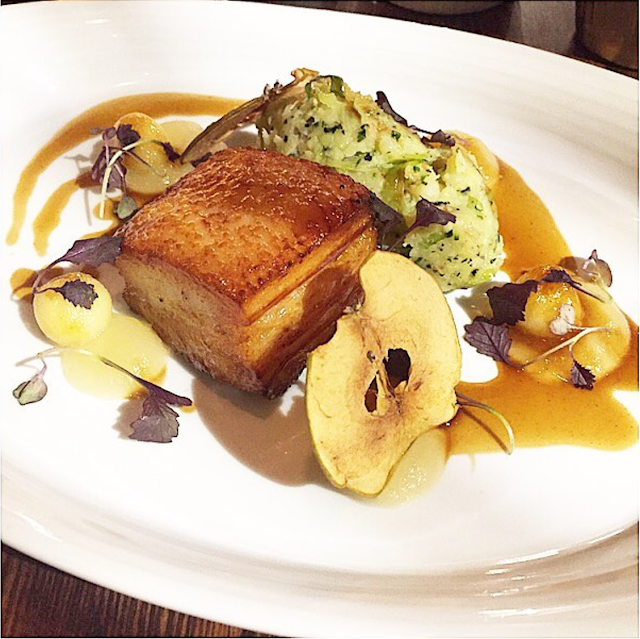 Pork belly with apple 3 -ways, crushed potatoes with coriander and a gravy. This dish was beautifully presented, I almost didn’t want to ruin the dish by eating it, I could've just stared at it. To me you can’t go wrong with Pork belly, It is always a crowd pleaser. this one was cooked well and the skin was crisp and crackling. The meat was soft yet tender and it was delicious. The apple 3-ways consisted of tiny caramel apple balls which when you cut into it - had a gooey like consistency, a sweet apple puree and lastly a decorative apple crisp. (which is a dehydrated apple) All dishes was made by the talented Chef Jorge Lourenco. For dessert, I had the Pannacotta with orange syrup, orange jelly & orange segments, This was pretty good! The pannacotta was deliciously light and creamy and it was the perfect ending to my meal. 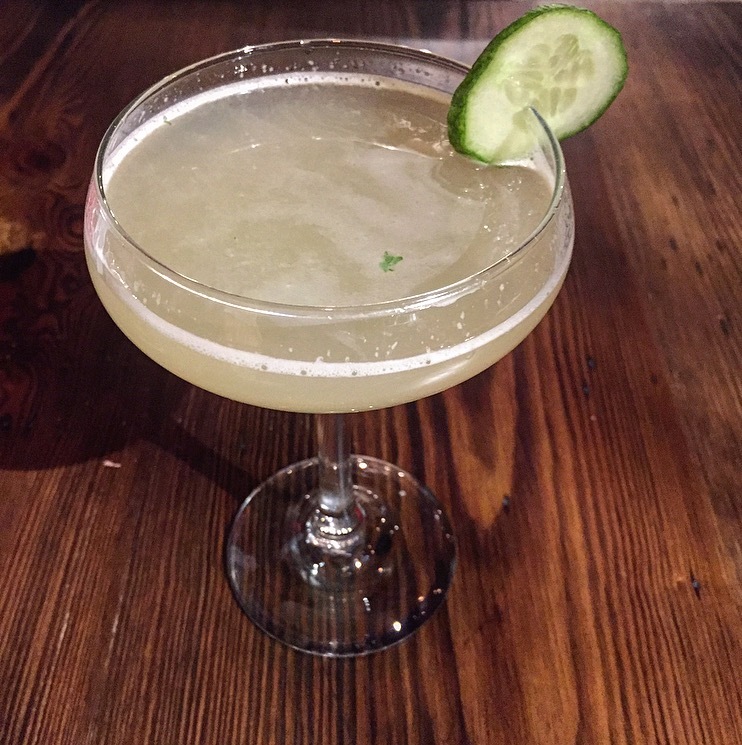 For drinks, I had the "Made in Cuba" cocktail which consisted of Barcadi, Lime, Cucumber, Mint Absinthe Spitz and Soda which had sweet tasting notes to it. 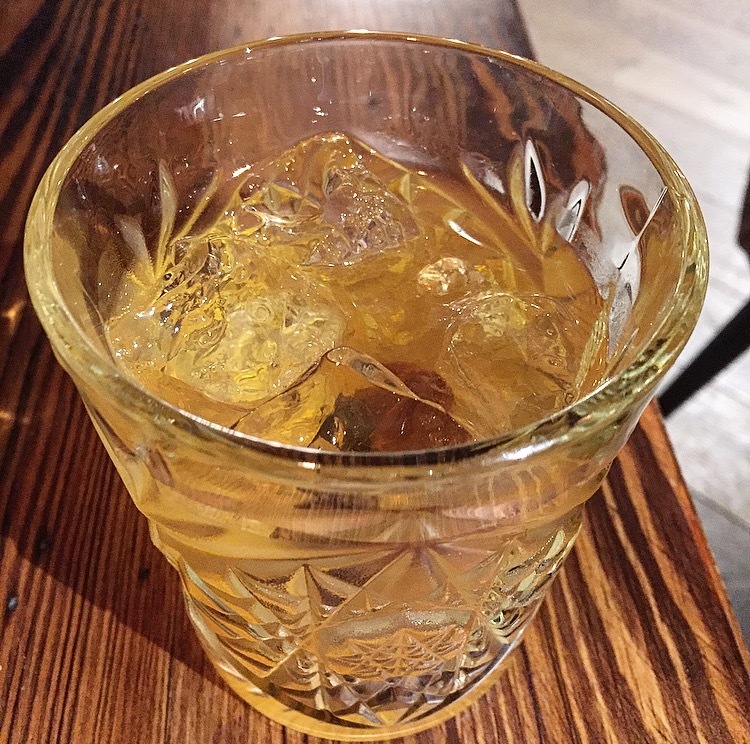 I also had the "Old Maple" cocktail which is a creation by the Bar Manager, Alec Parkinson - which consisted of Bulleit Bourbon, Maple and Bourbon soaked raisins. This drink was sweet due to the maple but strong due to the Bourbon. 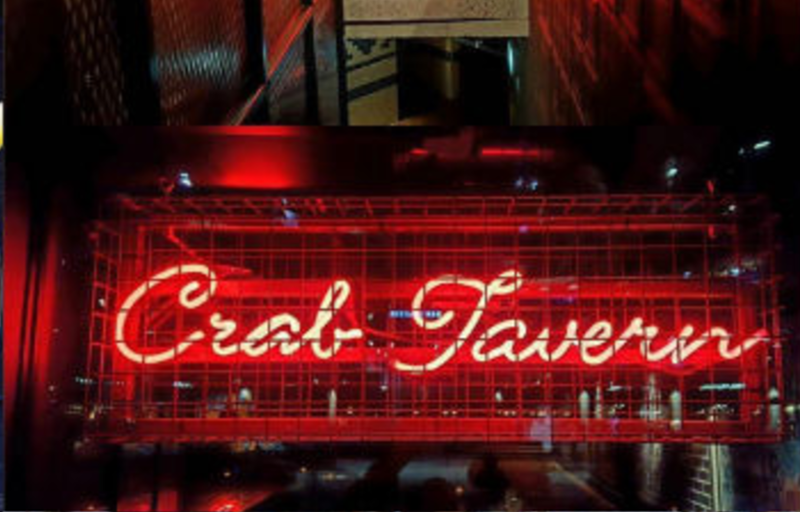 The service at Crab Tavern was good and always with a smile. The staff assisted with my questions about the menu, they were patient, knowledgeable and very welcoming. I thoroughly enjoyed my time and had such a good afternoon.